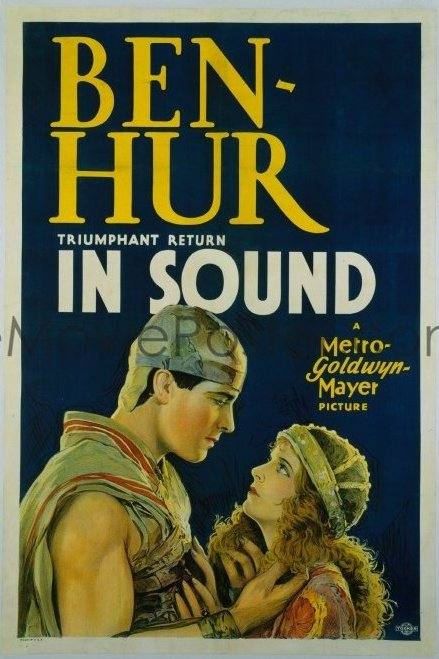 Ben-Hur 1925 realism.. Ben-Hur 1959 special effects. 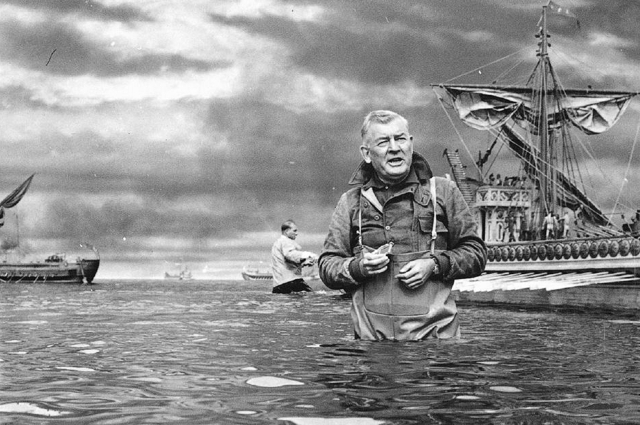 Although the 1959 Ben-Hur film is a great movie I have always thought the special effects of the sea battles were a little below par and distracting. 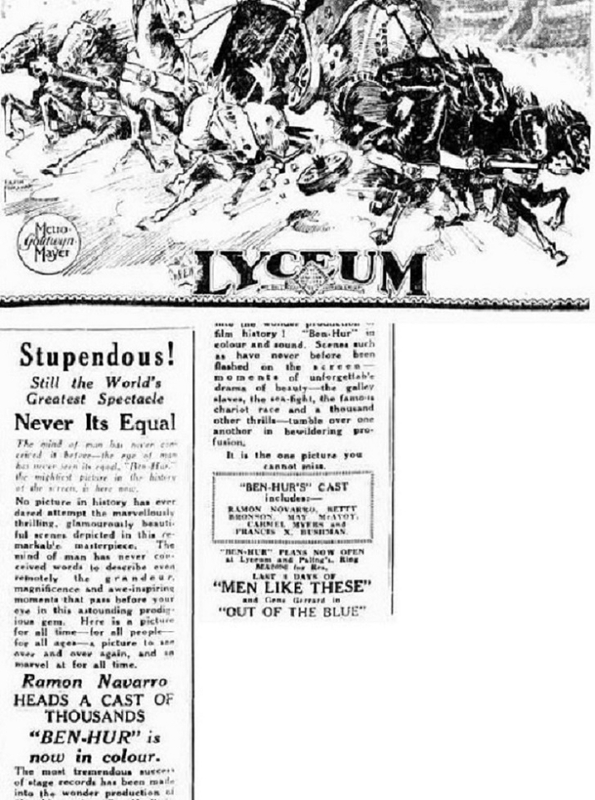 From memory the 1925 film had a horizontal daybill. Love to see an image. 1931 re-release U.S.A. one sheet poster. 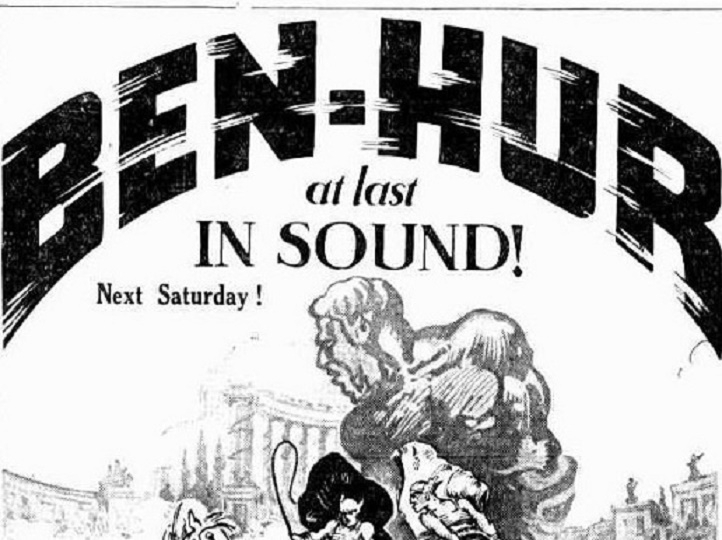 Australian re-release newspaper advertisement from 1932.The film now had a musical score and added sound effects. What I find interesting though is the ''Ben-Hur'' is now in colour wording that appears 4 & 5 lines above my comment. 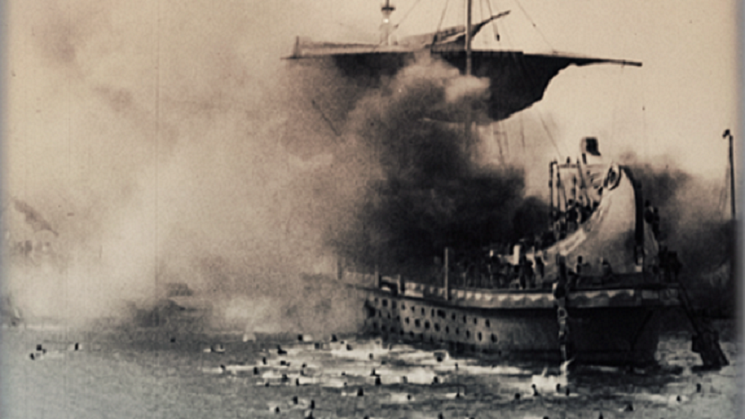 When screened worldwide in 1925 the film contained some two-colour Technicolor segments. To my knowledge no further colour was added to the re-release in 1931, so this ''now in colour comment'' is a little misleading. 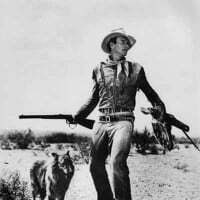 Keith (Star rock & movie posters) had / has it. Think he was asking $5K but that was years ago. Might have been mounted to board.